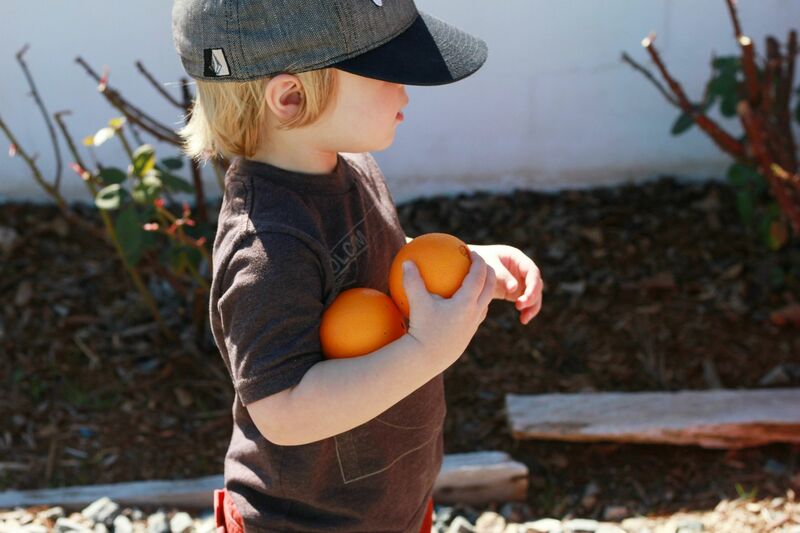 Max and I picking the juiciest oranges at Grandpa and Aubi's house. 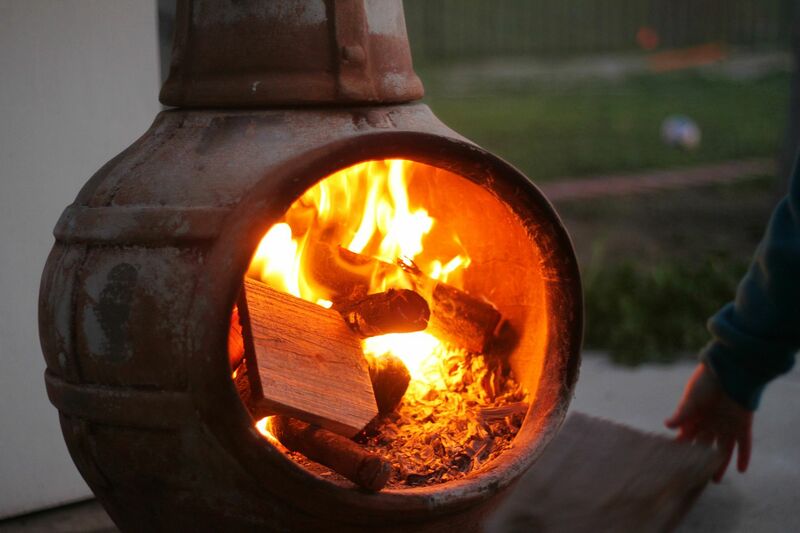 Warm nights, eating dinner outside, sipping on wine (duh) and sitting around the chiminea with family. The best. POTTY TRAINING success! If you read this post you can only imagine how excited I am about this. 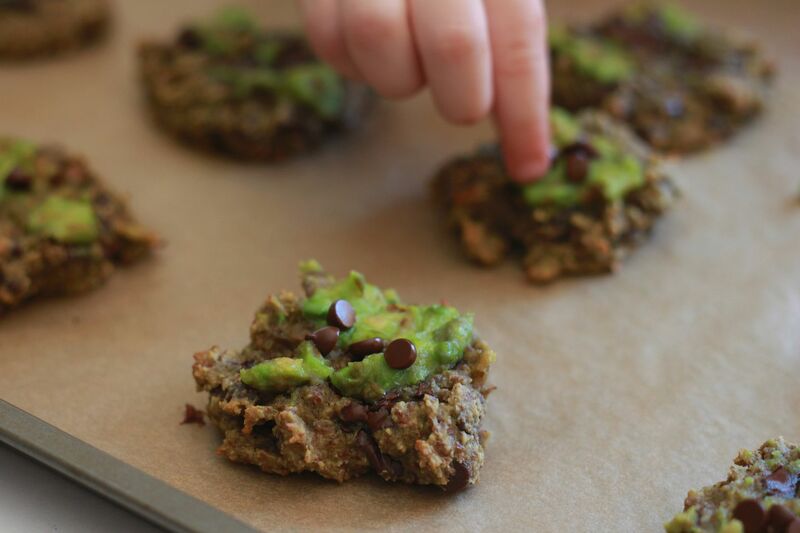 The ugliest but best tasting chocolate chip/avocado cookies and a little photo bombing hand sneaking a sample. These are way too ugly to blog about but if you are curious as to how avocado and chocolate go together check out this recipe. OMG. I need to read your potty training post. We just started and I am literally tearing my hair out. And I can't drink now...which is all I really want to do at the end of the day! I am so jealous of your weather!! Happy weekend. Happy to hear you've had success with the potty training! You were so close. So, can you tell me about the chiminea? Is it yours, and if so, do you remember the brand? I love the shape of it and I imagine warmth being generated no matter where you sit around it. Thanks! We were watching TV last night and an orange juice commercial came on. I turned to The Dad and said, I've never seen an orange tree in real life. He was like, Uh, REALLY?! I know, it's sad. And now I'm jealous of you picking them. So fun. Those cookies I have GOT to try :) Hope you had a great weekend pretty girl! 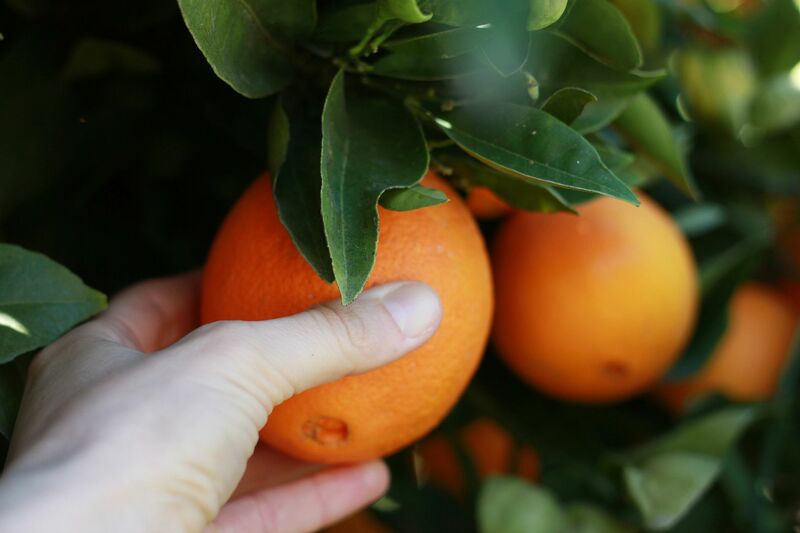 i want some of those fresh oranges, fresh OJ is my favorite thing! !